There’s a lot of confusion out there about how fascia responds to various forms of stretch and training. 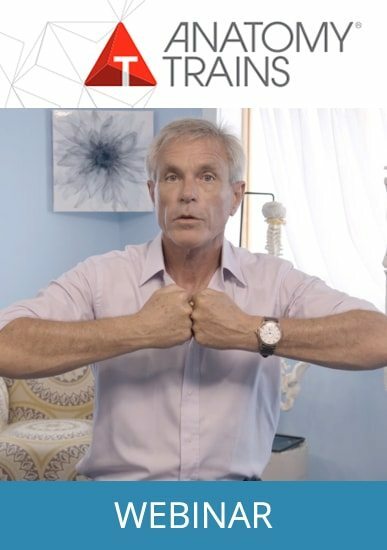 In this webinar, Tom Myers clarifies the subject by outlining four key properties of fascial tissue (viscosity, elasticity, plasticity, remodeling) and how connective tissues respond to various forms and speeds of training. Know what you’re talking about in the fascial arena by taking in this 30 minute video that ‘tells it like it is’ – simple, direct, and based on the latest research. Mind blowing! I am so glad I watched this webinar. It made me think differently about fascia and how I take care of not only my massage client’s bodies, but my body as well. Excellent! Tom Myers shines in explaining complex topics in a simple an very illustrative manner (with creative examples), while keeping awake the sense of “amazement” for this stuff. It was great and left me wanting to know more, specially about the different ways to train these properties. My only advise would be that the difference (in training methods) between Viscosity and Elasticity was not very clear, but for the space of the video this is understandable. Great quality! My experience of Tom Myers work is profound and is changing everything in my approach to medicine and healing. I will never recommend medication to a patient without placing it a far second to the process of healing inherent in our structure. Much more to come. I can or thank you enough . I will review more material after I have digested and incorporated the concepts and remodeled my prior scaffolding. From my Heart. Eileen L Ballard. What I like most about Tom Myers is his ability to explain concepts by images! In this case 30 minutes of webinar are worh like a couple of scientific books I read in the last few months. And now I can immagine my fascia moving as I move. Very useful for moment therapists, that can’t feel the fascia on their clients, but can just look at the quality of the moment. This webinar was great! I now have a greater understanding of Viscosity, Elasticity, Plasticity and Remodeling. The hands-on demonstrations brought a much clear understanding than just reading a scientific definition in a book! Also, the information Tom Myers provides in the webinar clarified much of deformation and “awkwardness” that I visually observe especially of fitness enthusiasts that seem to just jump into fitness, transforming their bodies, but continually end up with injuries. Now I can more effectively communicate what is taking place in an individuals body regarding this situation. Thank you for this education. Tom is an amazing gifted teacher. This is obvious whether in his presence in a class or in a webinar. This webinar explained a few very basic manual skills using Simple daily items in just 30 min. Great use of time and resources. Really appreciate it. Your webinars have never fail to enlighten me. I have enjoyed all your webinars. They have always helped me to be able to share the information with my students and thereby helping them to understand and feel their own bodies. Such great learnings! fascinating! the webinar is well structured, thoroughly explained, beautifully demonstrated and very insightful. thank you for the practical information, the professionality and the depth of the information. Tom did a great job explaining fascia. The visuals he used were very helpful! A wonderful explanation of Fascia’s properties and how to the way we use our bodies can utilise/exploit these properties. This is then taken a step further and illustrated in the various ways we can train. Very easy to follow, highly engaging and so enjoyable. Thank you Tom!! A great webinar with great visuals to help my understanding of fascia’s properties and how we can train it. I could listen to Tom speak all day! So fascinating! Loved the visuals, and the information was presented in a concise, organized, and very engaging way. Definitely changes how I think about training! I’m from Guatemala. I am very thankful. The visuals were great and helpful. Now I have a better understanding. The work of Myers changed my aproach to healing. Thank you so much! Enlighting, gave me a new perspective and respect for the bodies natural path that I will carry forward in the training of myself and others. Delightful. What a great subject to put into a single video/webinar. So simple and yet so foundamental. This really helped to sink my understanding about fascia more deeply. So much recommended. Love the different methods of showing and explaining fascia and how it works. Great examples, engaging & fascinating webinar. Thank you. Concise, clear,informative, engaging and as always entertaining. The “Remodelling” section was especially insightful.. Thank you so much. This video both instructs and delights. I am curious about other methods for training more elasticity into tissue besides running on the balls of the feet. Onward to the video about using the chair as a movement tool. Yeah. The clarity with which Tom communicates makes the information totally accessible. This webinar has been extremely beneficial in helping me explain to my clients how fascia works. I have dedicated my studies in Pilates to Diastasis Recti, and thinking about this condition in terms of the health of the fascia. This video is incredibly insightful in understanding the resilience of our connective tissue! Interesting overview of some of the properties of fascia. It’s short and basic. Useful for those who are not familiar with fascia and its importance in the body. Engaging and enlightening~Tom Meyers has the ability to repaint the picture of effective bodywork! Tom Myers does an excellent job of discussing the various properties of fascia including how to train each and massage considerations for fascial release. Very illustrative and informing. An excellent video. Really good video Tom! Well described and good sequencing of content. Thanks for your generosity in offering this for review! In this webinar, Tom provides a overview of the facial system and how to work with it. Firther, my interest in improving elasticity is now piqued. Excellent. It drew me right in and now I want to know more. 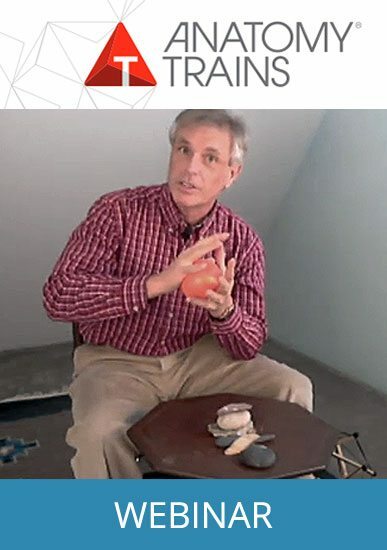 this webinar was clear and sysinct, in the way it explained the topic on how fascia move and the property of fascia, even though I have studied this previously I still found it very valuable, as it changed the way I view the properties of fascia. I will be getting more webinars and information in the future. Simple. Effective. Very informative. Thank you Tom! Tom provides very interesting ways to explain how the fascial system works. Super interessant en leerzaam! Heldere metaforen en visualisaties waardoor de eigenschappen van fascia begrijpelijk en zichtbaar worden. Heel bruikbaar voor mezelf en voor uitleg aan anderen. Bedankt voor het delen van deze webinar! Very simple way to understand how the connective tissue works and how can be trained. Absolutely incredible! Thank you for sharing your wisdom and passion. Great explanation of fascia and excellent metaphors! Thank you!! Tom is a great presenter, easy to understand, and even adds humor! Important information, and looking forward to more videos! Thank you! Simply superb, Tom to me is funny and and engaging,he makes things really insightful with his visual aids like the bowl with the corn thingy. Also because of this webinar I began looking for more on the website and also watch the really cool introduction to the anatomy trains book witch i ordered right after watching. Loved it, easy to understand and follow, so much good education packed into a 30min video! Would love to get certified in structural integration through Anatomy Trains! This was a fascinating presentation that was very easy to understand. I look forward to learning more from Anatomy Trains. This is a great explanation of fascia’s variable responses to exercise, pressure and impact. The video is lively, surprising, and important. Very interesting and well explained. Makes me wanna learn more about fascia etc! This was such an informative Webinar and I am so fascinated by Facia and what role it can play in my Pilates practice! I look forward to learning so much more and am thankful to have Anatomy Trains as a resource. Tom is an engaging presenter. The remodelling of fascia was of particular interest. I was disappointed that Tom did not make any mention of the relationship between the fascia and the enclosed muscle fibres during this stretching & remodelling. Would be interested in further exploration of these areas. Fascinating topic. Just not able to jump into it all at this time but maybe in the future. Appreciate all the little free previews that help give a glimpse! I found the information in this webina very intriguing and enjoyed the way he presented the info. It made me want to dig deeper into the subject of fascia. Really enjoyed this webinar. Great explanation and visuals of the fascinating topic of fascia. Thank you for sharing your knowledge in such a clear and enthusiastic manner. I love fascia! Very fortunate to have access to Tom Myers’ teachings and expertise. Anatomy Trains and Tom Myers have furthered my understanding of the human body and changed my approach to teaching. Thank you. I was amazed at how much I enjoyed watching this! I learned so much! The corn starch visual was spectacular at giving me an understanding of what Tom was describing. Absolutely fascinating! I’ll be getting another webinar for sure! Thank you so much! I am a dancer/circus performer interested in anatomy. Freshly after ACL reconstruction I was looking for information to better understand how fascia works. This webinar was a very good introduction to the topic for me. My physiotherapist and my doctor have different ideas about rehabilitation. The information I gained along with what my body tells me will help me to find the right process and therapist for me. Thank you very much! I am quite new to anatomy and the trains this video was really interesting and explained using fantastic relatable analogies. If I ished the video and went straight online to order the book. very easy and logical to follow, I learned a lot that will help me on my path as a dancer and personal trainer. Thank you! Really great session. Very informative, engaging, with a nice mix of theory and demonstration and different types of visuals…very well taught. Thank you! Great knowledge! Tom Myers has fantastic ability to explain in an easy and understandable way! This made so much straightforwad, common sense! Looking forward to more. Wonderfully presented knowledge on the qualities of fascia! Interesting and very useful for better understanding of the body. Wonderful Presentation, very easy to understand and to follow. Thanks a lot for this jewel. Extremely clear and easy to follow, nice presentation of fascia and its property! Thanks for the great content. This presentation was extremely clear, concise both visually and verbally. Tom’s breakdown of the fascia elements, examples of how each works and responds to force was excellent. Training examples help differentiate between Viscosity, Elasticity and Plasticity to further clarify and make it more understandable how the properties differ and play a part in joint and muscle movement (or lack therefore) of our bodies. I always learn so much from Anatomy Trains and Tom Myers! Thank you for such an informative webinar – keep doing what you do best!